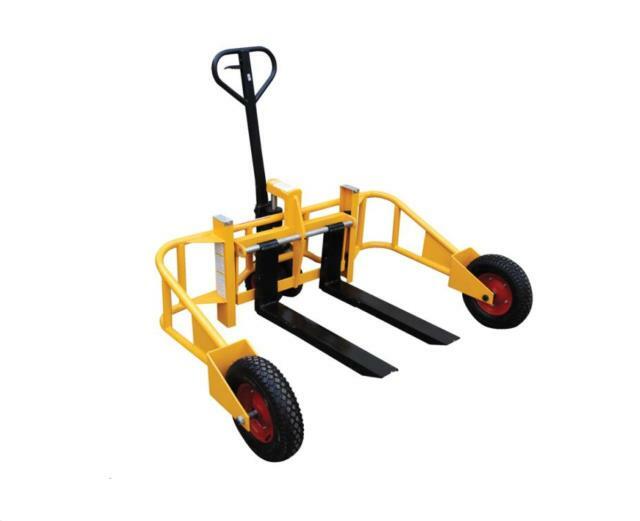 Smooth Roller � Easily moves products over gravel and rough outdoor surfaces. 3-position hand control � Raise, lower, neutral. 3" lowered and 9" raised height. 16" pneumatic front tires with 10" in back. 180� steering arc. Adjustable forks. Will not fit through a standard doorway. Wheels: Sealed bearings for dust protection. 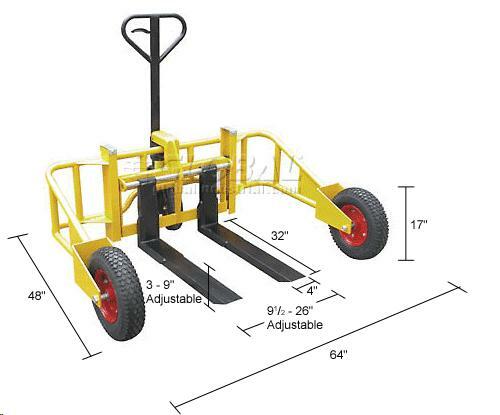 * Please call us for any questions on our pallet jack all terrain 2000lb rentals in Whistler BC, serving Squamish, Pemberton and the Sea-to-Sky Corridor.